Blending timeless tranquility with soaring and luxury, Las Palomas Beach & Golf Resort; ranked a 4 Diamond from AAA is a stunning waterfront Resort situated along the Sea of Cortez. Set in the exclusive area of Sandy Beach, Las Palomas blends the past with the present in an exciting paradox, resulting in a splendid destination that offers over 800 beautiful Contemporary Style condominiums that serve as an oasis for those who seek peace and tranquility along the shore. Accommodations are luxurious condos, ranging from one to four bedrooms, each with breathtaking ocean views of the Sea of Cortez from its own terrace or balcony. Each condo is individually decorated, fully furnished and equipped with gourmet kitchens, charming living rooms and dining areas. While a Las Palomas stay is all about unwinding, the resort offers a wide range of options perfect for families, couples and singles, from playing at “The Links”, professional 18-hole, Par 72 golf course, eat at La Maria, Citron Fine Cuisine, fabulous courtyards with infinity-edge-pool, 2swim up bar to enjoy your fresh Margaritas, Lazy river, heated whirlpool, barbecue areas, world class amenities, a boutique, fitness center and much more. Enjoy a full service spa to indulge yourself with a splendid array of massages, facials and body treatments. For those workout lovers who wish to keep in shape during their vacation we have a variety of fun, exciting and relaxing classes of, Zumba, Aquaerobics, Stretching on the beach and a fully equipped fitness center. Our 5,000-square-foot convention center is set up to accommodate your needs, escape from the city whether it’s for business meetings, a family reunion, anniversary, birthday party, and coffee break or celebrate the most important day of your life, your Wedding. We have it all for that special moment you are looking for, big or small. There’s a world of things to enjoy. Discover the paradise in the sea of Cortez that “Jacques Cousteau called it “the world’s aquarium”. Las Palomas has for you a perfect vacation. Stay. Eat. Play. Enjoy. 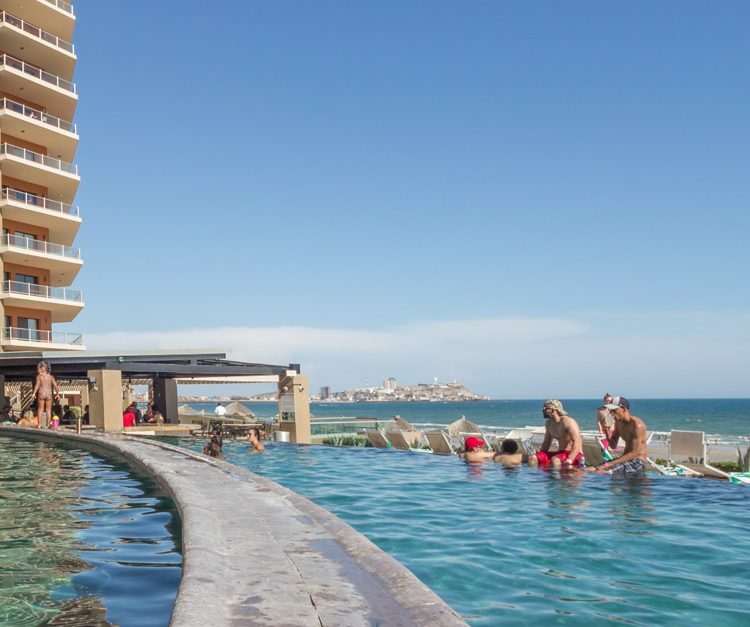 Situated in the Sandy Beach resort area of Puerto Peñasco (Rocky Point), Sonora, Mexico, Las Palomas Beach & Golf Resort is a vacation destination set against the Sea of Cortez, a 3 ½ to 4 hour drive (212 miles) from Phoenix and Tucson, Arizona, and 677 miles from San Diego, California. Just 10 minutes from Old Port and Downtown. Flights are available from a number of Regional Air carriers. Address: Blvd. Costero #150. Col. Sandy Beach, Puerto Peñasco, Sonora 83550. Spa, Fitness center, Convention center, 24/7 security, Outdoor Grill, 18 hole championship golf course, restaurants, pool and swim up bars. In-suite service daily from 7am to 10pm, with charging privileges. Lazy Rivers (bring your own raft), Kiddy Pools, Water Slide, Gorgeous Negative-Edge Pools, Swim-Up Bars, Fountains, Deep & Shallow Pools, Communal Pool and Heated Pools. El Pinacate and Gran Desierto de Altar Biosphere Reserve is located in the Sonoran Desert. The Sonoran Desert is one of four great North American deserts along with the Chihuahua Desert, the Great Basin Desert and the Mojave Desert. The variety of landscapes results in extraordinary habitat diversity. The diversity of life forms across many different taxa is notable with many species endemic to the Sonoran Desert or more locally restricted to parts of the property. All feature sophisticated physiological and behavioral adaptations to the extreme environmental conditions. The subtropical desert ecosystem reportedly hosts more than 540 species of vascular plants, 44 mammals, more than 200 birds, over 40 reptiles, as well as several amphibians and even two endemic species of freshwater fish. Las Palomas is the first resort in Rocky Point to earn the elite 4 diamond rating from AAA. Only 3% of the 32,000 AAA approved hotels enjoy this rating. 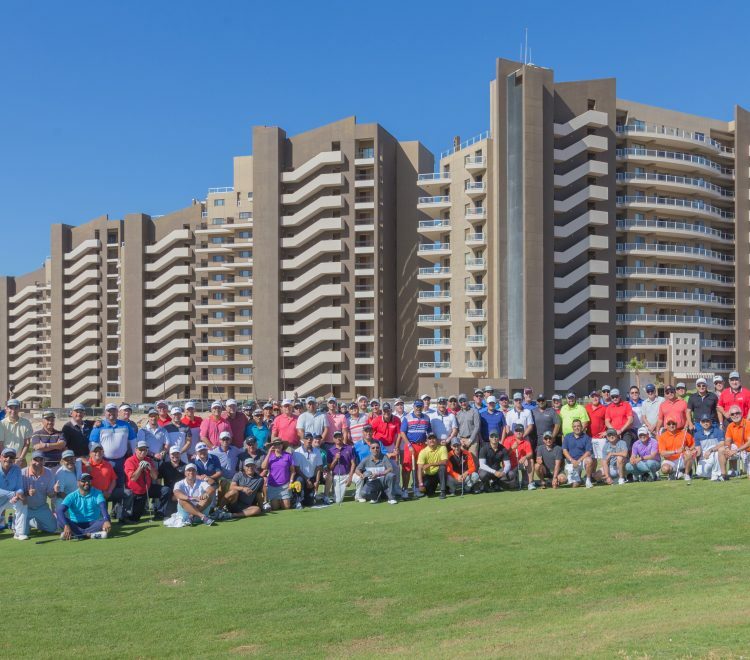 • Las Palomas Beach and Golf Resort is the largest master planned resort community in all of Puerto Peñasco, which means it offers more amenities to you than at other resorts. It offers Palapas on the beach, beach volleyball, water slides & kiddy pools, negative-edge pools, Jacuzzi’s, swim-up bars, lazy rivers, high-end lounge chairs with optional face shields, pool-side eateries, upscale restaurants, fitness center, convention halls, onsite Spa and much, much more…All within the secured grounds of Las Palomas which is gated and guarded by security 24/7! Restaurants include: La Maria Bistro, Citron, & pool-side eateries. We accept: Visa, Master Card, American Express, PayPal and PayPal Credit. All condominiums have ocean views and sleep up to 4, 6, 8, and 10 people, in our 1 to 4 bedrooms 1 to 3 baths, with Gourmet kitchen, side by side refrigerator, range/ovens, microwave, dishwasher, small appliances, telephone, radio alarm clock, living room, dining area, flat screen HDTV, cable, Wireless internet, digital safe, iron and ironing board, hair dryer, washer/dryer, Air conditioner. Snack bar service served daily and while enjoying the best sunsets. Snack and wet bar service served daily and while enjoying the best sunsets. 3 Course Dinner, National Open Bar (4 hours), Rent of Convention Center, Garden or Terrace, for Reception (4 hours), Servers & Bartender, Banquet Furniture (chairs, chair covers, tables, china, glassware, tablecloth), DJ, Ceremony Set Up on the Beach, Garden or Terrace Discount on Public Rates for Family and Friends, Includes one night lodging in a luxury condo. 3 Course Dinner, Unlimited Corkage Service, Rent of Convention Center, Garden or Terrace, for Reception, Servers & Bartender, Banquet Furniture (chairs, chair covers, tables, china, glassware, tablecloth), DJ, Ceremony Set Up on the Beach, Garden or Terrace, Discount on Public Rates for Family and Friends, Includes one night lodging in a luxury condo. Unlimited Corkage includes: Soft Drinks, Juice, Ice, Water, and Service *Exclusive for liquor. 5 nights, in a special decorated 1 Bedroom 1 Bath Ocean view condo, with daily breakfast, romantic dinner, bottle of wine at dinner or in the room. New year, Spring Break, Easter week, Memorial Day, 4th of July, unforgettable Summer Vacations, Labor Day, Mexican Independence day, Fall Break Motorcycle Fiesta, Thanksgiving, Escape from Snow, Golf and Spa.